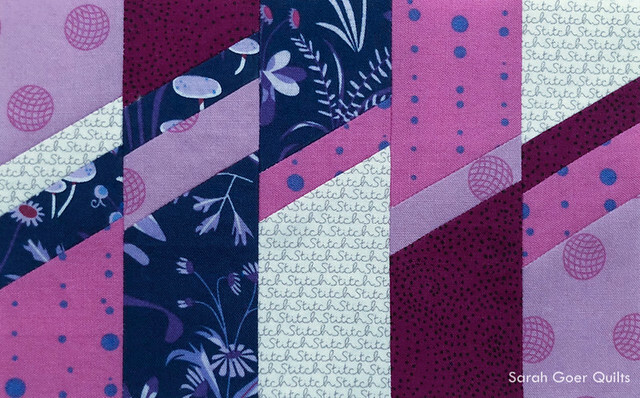 Bay Area Modern Quilting hosted a swap for guild members, due at today's meeting. The theme was Mini + Metal. We had to create something that was 6" or smaller... could be a bag, a needle book, pin cushion, mug rug -- the possibilities are endless. And some component of the item/gift had to include metal. This could be part of it's construction, or an addition, like needles in a needle book or pins in a pin cushion. 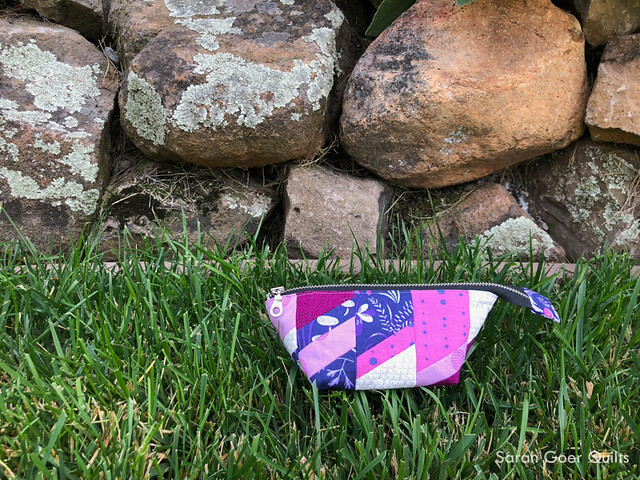 My head spun with possibilities and I decided this would be a great opportunity for making a zipper pouch with a metal tooth zipper – something I hadn't ever done. (This was a popular choice in the swap!) I decided to size down the small size Open Wide Zipper Pouch by Noodlehead and ordered 8" black zippers with silver nickel teeth and donut zipper pull from Zipit Zippers on Etsy. I was making for Rhonda and wasn't quite sure about her style. I decided to pick a bold floral print from my stash to drive my color palette. 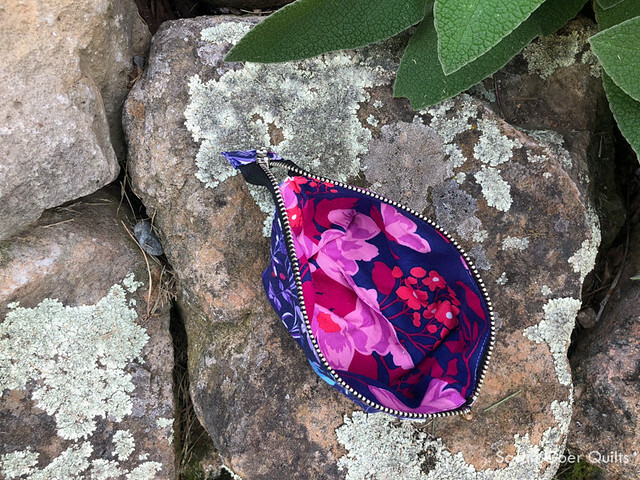 The outer fabrics were all chosen from the floral that I used to line the bag. 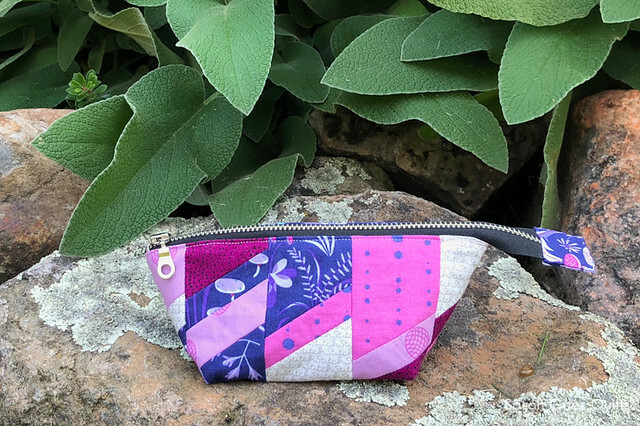 The final details was to create the zipper tab from the Lovely Hunt fabric. I chose to hand stitch it in place with running stitch using a 12wt cotton Aurifil. I always have a bit of a struggle to sew the tab on by machine. With the metal zipper I didn't want to attempt machine stitching. 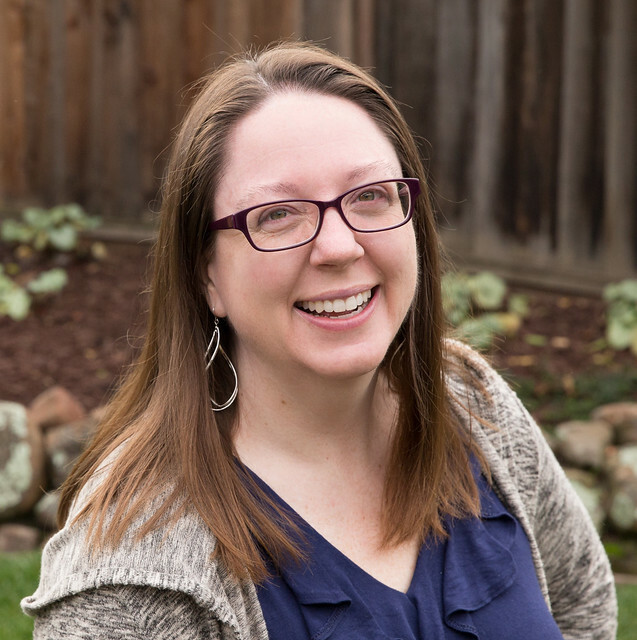 I'm linking up to Brag About Your Beauties. Posted in Quilting. 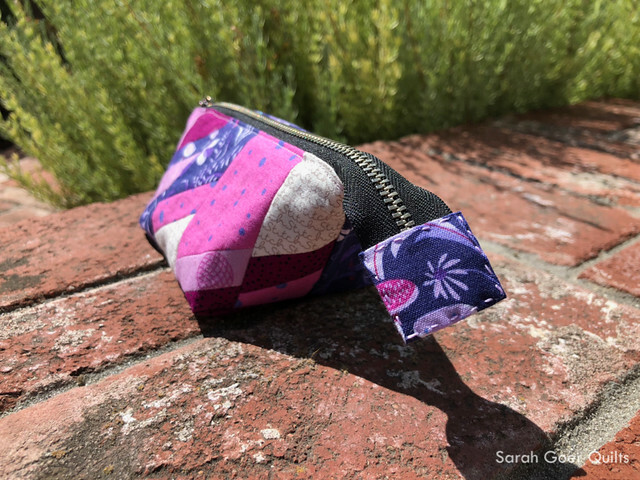 Tags: all about angles, open wide zippered pouch, planned improv on September 15, 2018 by sarah. Beautiful! 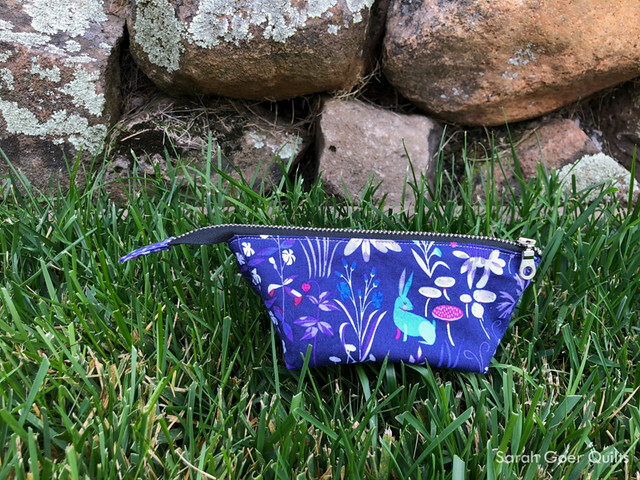 The unicorns in that LH fabric would require making a *huge* pouch(! ), so I can see why you saved them for another project. I love that you used the back, though, to feature the sweet bunny. Lucky Rhonda! This is very lovely! I love how you hand-stitched the zipper tab. I have had problems with sewing the tab onto the zipper, also. I have broken needles. I will try to remember this the next time. It looks lovely that way, too!